Dave Price serves as weather anchor for NBC 4 New York’s 11 a.m. and 4 p.m. newscasts. 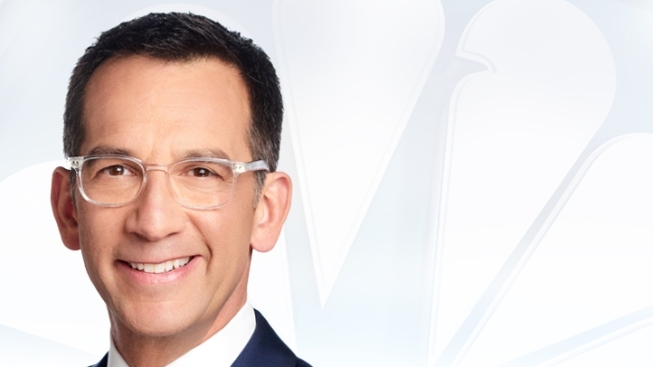 Prior to joining NBC 4 New York, Price co-anchored Good Day New York at WNYW FOX5 where he and his colleagues helped steer the newscast through coverage which included the Sandy Hook tragedy, Empire State Building shootings and Sandy and its aftermath. Before FOX5, Price was the weather anchor for CBS's The Early Show for eight years and covered major weather events for the CBS Evening News. In addition to forecasting and reporting on-site from natural disasters for both programs, he traveled throughout the country and around the globe bringing amazing feature stories to millions of viewers. Price began his TV career in Erie, PA, as the morning weatherman at WSEE-TV. A year later he was named morning weather anchor at WBBM-TV, the CBS station in Chicago. Price joined Fox's Good Day Philadelphia as its co-host before moving to New York to do weather on Good Day New York at FOX Television's flagship station WNYW-TV. In 2003, he moved to WCBS and CBS News. He's won four Emmy awards and a Gracie award for his work on-air. Price has had a first-person view of some of the most momentous events of our time. Price was in New York City, on-air, as the tragic events of September 11 unfolded and was one of the few reporters who spent the night enduring Hurricane Katrina inside the Superdome in New Orleans with the people he was covering. Price, in 2010 was in Haiti in the aftermath of the earthquake which ravaged that country and was dispatched to the oil spill in the Gulf of Mexico as those along the Southeastern shoreline came to grips with the environmental disaster. From the mountains in Afghanistan to the forward operating bases in Iraq -- Price has been on the ground, not just in a newsroom. On more pleasant occasions, Price was the eyes and ears at the center of the action during Presidential inaugurations, sports championships and Thanksgiving Day parades. Price has flown with the Blue Angels over the Florida coastline, canoed down the Amazon in Ecuador, ridden Harley-Davidsons in the Australian Outback -- and done pretty much everything in-between everywhere in-between in every state in the nation and to over 85 countries. Price has covered an incredible array of stories for someone who did not enter the broadcasting business until he was almost 30. Armed with a bachelor's degree in Industrial & Labor Relations from Cornell and a master's degree in Organizational Psychology from Columbia, he spent almost a decade as a human resources executive with Pepsi-Cola, Texaco and Taco Bell. His job was to advise those companies on how to "run better." That was until the fall of 1995, when he started listening to his own advice. He shed over 80 pounds and turned his life in a new direction. He quit his job and pursued his passion. In 2010, Price took on projects behind the camera; he wrote and produced "Reporting for Service with Bryan Anderson" for WTTW in Chicago. The documentary profiled the return of a triple-amputee Iraq war vet and his efforts to engage others in service to the community. Price was recognized with an Emmy for producing. Price volunteers with the Fairfield County Inner-City Foundation, an organization that fosters educational opportunity for at-risk youth in Connecticut and serves on the advisory board of the Africa Foundation. The Foundation funds sustainable programs in education, health care and economic development throughout Africa. Additionally Price has moderated United Nations General Assembly panels on entrepreneurship in developing nations and on international migration issues. One of his most cherished volunteer efforts is his longstanding involvement entertaining U.S. troops serving overseas. For over a decade Price has traveled to Iraq, Afghanistan, Kuwait, Djibouti and military installations around the globe to do stand-up comedy for the troops during the holiday season. Price, a native New Yorker, is a certified scuba diver, licensed pilot and avid photographer. Price and his wife Jacqueline live in New York City with their son Eli, daughter Caroline and their adopted golden retriever Wally.